Must have completed class 12th with at least 50% marks or should have cleared or appeared in final year diploma of elementary education. Must have at least 50% in 12th or cleared or appearing in final year of diploma in elementary education as per the NCTE Regulations 2002. At least 50% in 12th + cleared or appearing in final year exam of diploma of education (2 years). 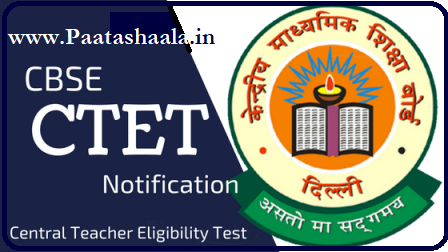 Eligible and Interested Candidates Go through the Official Website of APTET then Apply Online Before Final Date. CTET 2019 exam paper will be a multiple choice question paper. The duration exam will be two and a half hours and each question will comprise of 1 mark each and there will be no negative marking against the wrong answer. Two papers will be conducted first in the morning session for class I-V and then in the evening session for class VI-VIII. The questions will be based on topics like Child development and pedagogy Mathematics and Environmental studies, Social studies and social sciences. With D.ed or B.ed I willl not participate in CTET.